Celebrities can make any boring life event better! Take Paul Rudd helping announce this couple’s pregnancy, or Jeff Goldblum attending this wedding. 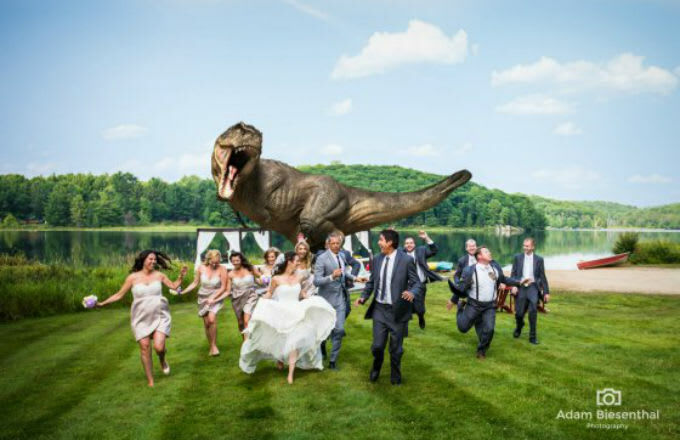 Pamela and Jesse Sargent were lucky enough to have the Jurassic Park star at their wedding so they went for it and took a Jurassic Park inspired photo with a photoshopped T-Rex chasing the wedding party. Now that&apos;s how you do a wedding photo.